This is a two-day workshop in which we will learn the fundamental steps to create a textural fabric. Day 1: Students will experiment with fabrics and methods to achieve a variety of texture effects. Day 2: Students will create a nunofelt scarf, shrug or wrap. Subscribe to the SpiderFelt mailing list to be notified of future classes and special events. Following is a sample of classes offered previously in my studio. If you are interested in one of these classes, or have an idea for something you would like to learn, grab a friend and send me an email. It only takes two to make a class go. Sometimes the best kind of slipper is the kind you can scoot into quickly to scuff around the house. Make several pair for guests who leave their shoes at your front door. These slippers have no heel, they are a backless scuff. In this workshop, students will make a pattern based on their own foot, felt one pair of slippers, then adjust the pattern as necessary to make the slippers wider or longer and felt a second pair. A birdhouse is a simple vessel with lots of potential. 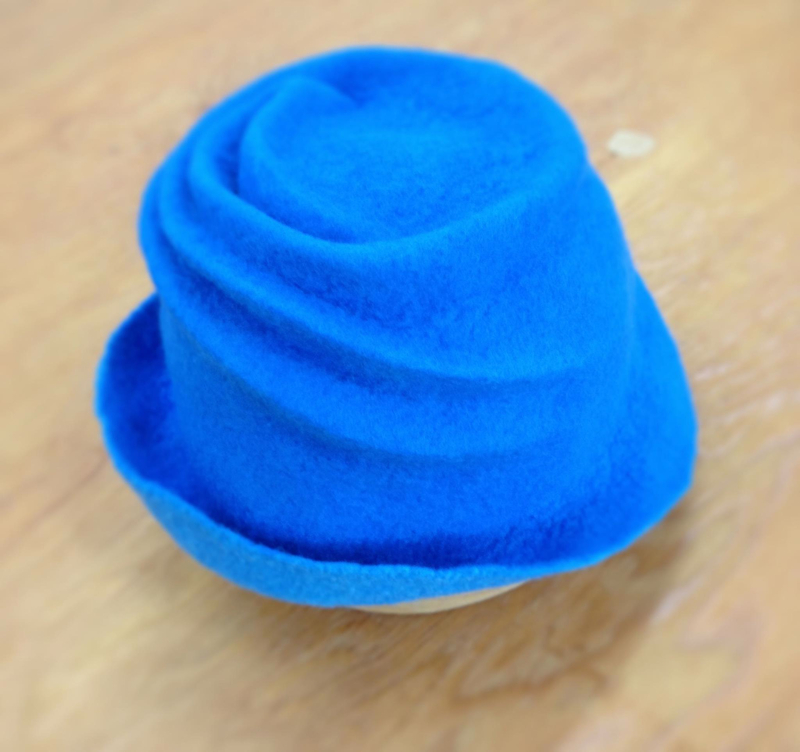 While learning the basics of creating a shaped, three-dimensional piece of felt from a flat pattern, explore the embellishment possibilities. Add a perch, a pocket, a loop or a hanger. Learn how to felt a coaster, a trivet or a placemat. 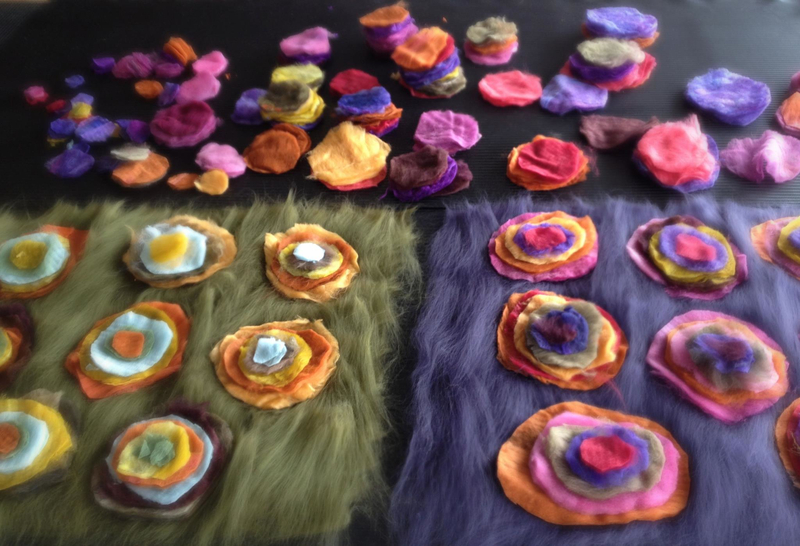 Starting with a small piece of sturdy felt, add geometric shapes and color layers before felting into a solid and dense piece of felt. Simple forms steamed, pressed and pinched into funky shapes. Learn the steps to create a dynamic hood with endless potential; leave with a hat sure to turn heads.